Our most popular package includes breakfast for two. Depending on the time of year the selection will be cooked to order from our Fuse Lounge Café menu, or the selection will be our fabulous full American breakfast buffet. All breakfasts include your choice of coffee or tea. Please contact us for our complete terms and conditions. Thinking of planning a romantic getaway? The Carmel Mission Inn’s romance package is the perfect way to pamper and inspire your sweetheart. Enjoy each night of your stay in one of our premium king guest rooms. When you check into the hotel a chilled bottle of sparkling rose wine will be waiting for you in your cozy and intimate guest room; served with delectable chocolate and wine infused truffles. 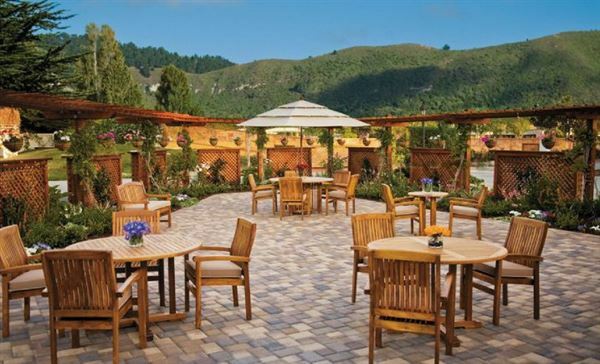 Let our knowledge staff help you plan the perfect intimate dinner at anyone of Carmel’s world famous restaurants. The romance package includes breakfast for two, so relax and order room service in the privacy and comfort of your guest room or venture out and join us in the Fuse restaurant for a delicious made to order breakfast.